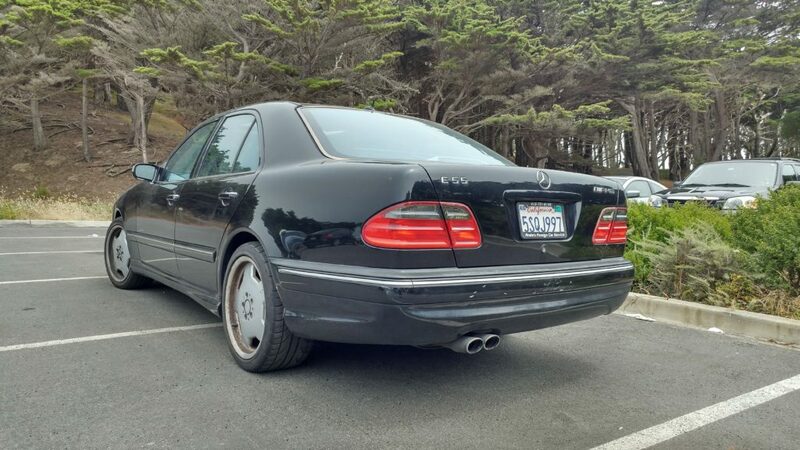 2002 Mercedes-Benz E55 AMG: 2200 miles in 10 days; reckon that has bedded in the new trans! So said Caesar, crossing the Rubicon. By crossing this tributary of the Tiber, Caesar had committed an act of war; he was massively out numbered by Pompey, and looked unlikely to win the coming civil war. But he rolled the dice anyway – and today, we know him because of it. 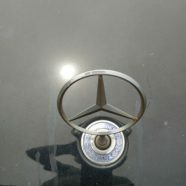 What does this have to do with a 2002 Mercedes-Benz E55? A good deal, if you’ve just bought a 130k example sans the complication of any service history in the shop having its broken transmission replaced. A process costing more than the purchase price. Like Caesar, this is something of a die roll. But what a motor; 3000 to 6000 rpm is mighty. 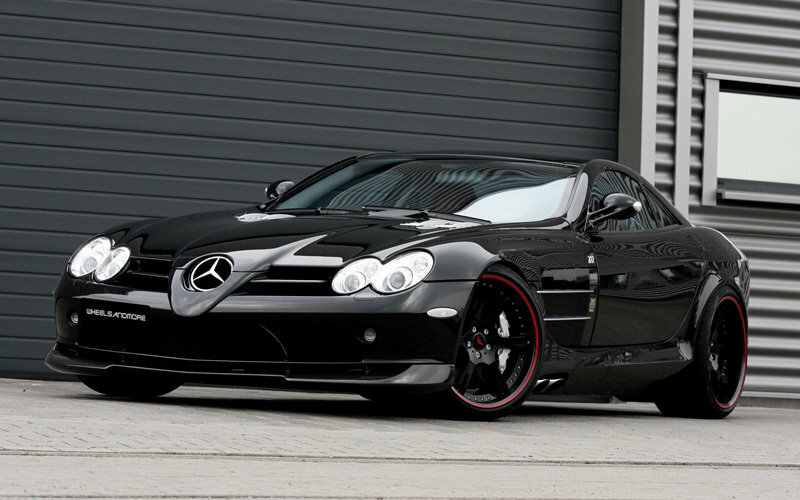 In a limited acquaintance, I have realized that AMG cars are not like M cars. This is a limo with a hotrod motor. It also needs new headlights. In a way, this is a pet peeve; on a drive from Las Vegas to San Francisco overnight, crossing Death Valley I was badly caught out by a bend after a long straight stretch. I realized the Bullitt car out runs it’s headlights at anything much above freeway speeds. We did not leave the road, yet although the incident was over five years ago it still looms large in the mind! Which explains why I want the best lights I can get for the E55, without detracting too much from its “just a tired old Mercedes” ambience. It needs rear tyres soon, and by the time I have done them, I will have spent as much on the tired ancillaries, the knackered tie rods and the sun-trashed lights, as I did on the whole replacement (used) transmission! The same transmission as found in the Mercedes SLR $300k supercar. The headliner is collapsing at the back and above the passenger door. Did I mention that positively Wagnerian motor? 110hp, but torquer than the Honda, and noticeably more charismatic because of it. Cornered enthusiastically. Very slow. Took a long time to get tags, persistently attracting attention from law enforcement very tiring. Covered around 600 miles; developed the right knack to get key out of the ignition (I hadn’t done this when I shot the little film) ; never quite dealt with stink; developed other issues causing me to donate it, ironically to be salvage auctioned at exactly the same yard from whence it came. It was acquired as part of my Copart Learning, a yet-to-be published Dickensian epic where I utterly fail to make any money flipping salvaged cars, but learn plenty having fun indulging a childhood carguy fantasy of poking around in salvage yards, buying cars, and returning them to road worthiness: in a very real sense, bringing them back from the dead. Like the Fox Mustang, and the Honda, my mistake was getting such a ropey example. The handling is charismatic, but it needs a turbo, needs to be a WRX. I never loved this Subaru, so off to the knackers yard with it.